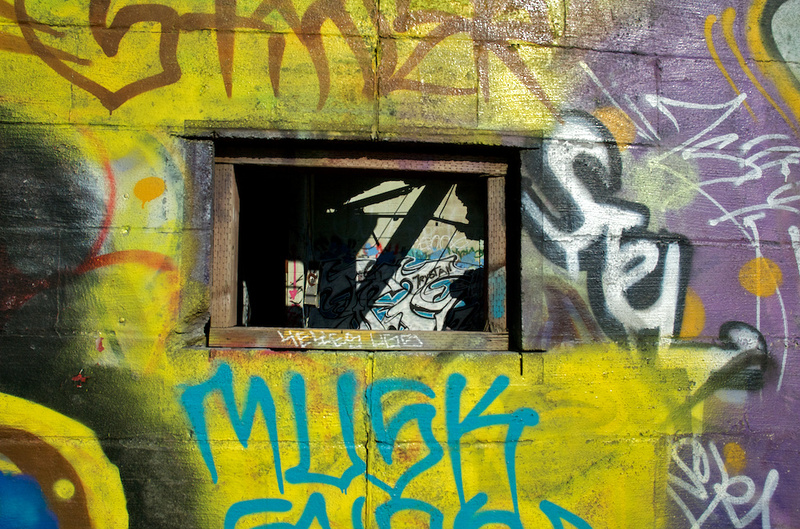 Graffiti on the outside wall of one of the buildings at the abandoned Nike missile base on Sweeney Ridge, in the Golden Gate National Recreation Area. This image is the flipside of this earlier photo. Shot with the Nikon D70s and the 18-70mm f/3.5-4.5 zoom at 18mm, ISO 400, f/9, shutter 1/1600 sec. Exposure, contrast, levels, and highlights adjustments in Aperture.